Flats (aka Condos) looming tall from various corners are a recent phenomenon in Kerala. Fourteen years ago, flats were few and far between and the demand in sync was quite dull – the asking price for a two-bedroom condo in an up-and-coming neighborhood in Kakkanad bordering Thrikkakkara was around Rs 5L. Since then, the market changed significantly and the demand peaked around late 2007 with builders boldly selecting buyers based on their resident status (e.g. NRI – Non-Resident Indian), high net worth individual, etc. The mindset of the people also changed with flats becoming the preferred choice for some instead of an independent villa (aka single family home). The sizable NRI population of Kerala helped accelerate the trend, with their buying completely into the "better security" concept promoted by marketers. Historically, flats went for less than half that of what independent villas commanded with comparable square footage and a smallish yard. In the 2007 market-peak, when price hikes were a daily occurrence, there were instances where a flat’s cost easily exceeded that of a comparable villa in the same neighborhood. It was normal to see standard two-bedroom flats in Kakkanad going for Rs 50L. The market cooled soon after, although pricing managed to remain flat over the next four years.The last few years have again seen price hikes, although not anywhere close to the appreciation seen during the boom-times, almost a decade ago. It was still unclear whether some of the high profile projects such as Smart City and Hi-Tech City (Maradu - about 12 km away) will ever become a reality. Skyline Ivy League: A huge project on six acres – around 700 condos in six towers. Pricing was Rs 2590 (~$55) per square feet. The quoted delivery date was 2011 August. Plans – 1BR 1050 sft, 3BR 1600 sqft, and 4BR 1800 sqft. Availability was limited with the 4BR completely sold out. There was availability on the 3BR condos and very limited availability for the 2BRs. DLF New Town Heights: The biggest residential project in the area on 26 acres – 1774 flats in 20 residential towers. 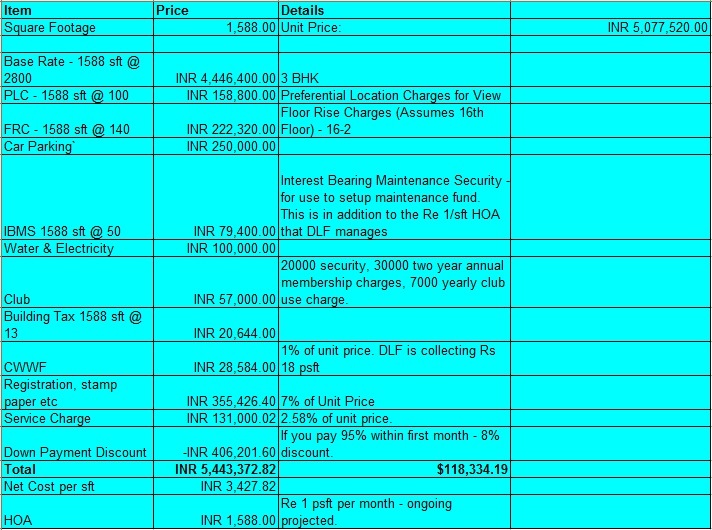 Pricing was Rs 2800 (~$60) per sqft. The quoted delivery date was 2012 December. Plans – 2BR 1100 sqft, 2BR+Study – 1250 sqft, 3BR – 1600 sqft, 3BR+Utility – 1750 sqft. Availability was not a problem but units were being released in phases which meant some plans were not available. Sahara Grace: Another huge project on 14.72 acres – 728 units in 14 towers. Pricing was Rs 3000 ($66) per sqft. Project delivery date was phased on tower basis with the earliest delivery quoted as late 2011. Plans – 2BR 1183 sqft through 3BR 1788 sqft (eight different plans with some sporting a large private patio space). As with DLF, units were available although the problem of having to wait for the builder to release the plan & location you were seeking was a given. We also ran into a casualty of the slow down during our research phase: Nitesh Wimbledon Gardens epitomized the growth in Kakkanad flats with their announcement of a huge project in the 2005-06 timeframe. On contacting them through the online inquiry form, the automated reply stated that the project was deferred. To educate ourselves ourselves, we did briefly stop by builders such as Olive (best location right in front of Infopark but quality well below par) and also attended the CREDAI real-estate event that we blogged about previously. Our take away was that it was very much a buyer’s market with choices aplenty. Payment schedule varies by builder. It is normal to have a sliding scale with payments of 10-15% due based on construction progress deadlines. Financing the home is fairly easy if you hold a job, although interest rates are upwards of 8.5%. Repayment period is normally between 5 and 15 years and up to 85% of the value of the home can be financed easily. Tax benefit comprises of a deduction of between Rs 30K and Rs 1.5L from income based on some conditions – both principal and interest may be deducted. Fixed and Variable Interest Rate Loans are both available and sometimes teaser rates followed by a higher fixed rate are also offered. The Skyline Ivy League project location is very good as it is near both Smart City and Infopark. The layout is impressive with "attention to detail" shining through as a differentiating factor. The project is now completely de-risked from the buyer's point-of-view - construction status is "ready to move in" and the nearby Smart City Project is finally coming to fruition with the flagship building already commissioned. 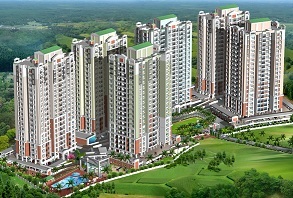 The DLF New Town Heights (NTH) project is the biggest by far. Location is convenient, right on Seaport-Airport road, the hub of recent developments in the area, and near Civil Station – long-term, this may turn out to be a disadvantage as the road will get extremely congested once the construction in the area gets done. The current status is that handover is complete for around half of the apartments in Phase I (~1200 total in Phase I). Availability is very limited at this point, but here again, the risk is now fairly limited for new owners. The project appeared to be moving at a very slow pace. Given the outstanding location, our first choice would have been Sahara Grace, but the issues above made it tough to go with that. Of the other two choices, it was really a tossup. We went with DLF New Town Heights mainly for its location. The decision was also made easier by the fact that the type of apartment we desired was only available at DLF at the time. In hindsight, we see how naive we were to go with the purchase of an apartment at DLF New Town Heights, Kakkanad. The marketing folks sounded so convincing and we did not even consider the possibility that the project will be delayed past 2013. In reality, handover started in 2016, a 3-year delay. DLF also managed to increase our costs significantly, although a firm contract was signed in 2010 - extra taxes and such were introduced by taking advantage of loopholes (and such) in the agreement. Even with this delay and extra money spent, comparatively speaking, we were lucky: there are several projects in the Kakkanad area with even greater delays. Sahara Grace is one but there are numerous others as well. Overall, the regulatory environment in Kerala is such that buying an apartment before it is ready-to-occupy is a risky strategy. Delays are a given and loss of investment due to project abandonment and other issues are not uncommon either. DLF New Town Heights: The project saw several pricing adjustments – the proposed launch price was as high as Rs 3500 per square feet but the market conditions forced them to have a soft launch with pricing at Rs 2350 in 2008. The pricing was adjusted up to Rs 2500 in mid-2009, to Rs 2800 in early 2010, to Rs 3200 at the start of 2011, and to Rs 3500 in September 2011. They also announced release of the Signature Tower with several exclusive features (Full Air-Conditioning, Exclusive Pool, Modular Kitchen, etc) priced at a whopping Rs 4800 psft. This initiative was later nixed and the monies collected for booking were returned. The first two towers (U and V) of Phase II of the project was announced in early December 2011 but the pricing was not announced - the towers were deemed to have 2BHK and 2BHK+S units with square footage at 1250 and 1356 respectively - here again, they quietly nixed the plan and it never moved past the announcement. Skyline Ivy League: The sixth tower Cornell was launched at Skyline IVY League with a scheduled handing over date of 2013 December. The handing over dates of the first four towers (Yale, Sylvania, Harvard, and Columbia) slipped to 2012. Pricing increased by 20% to a Base Selling Price (BSP) rate of Rs 3100psft from Rs 2590 in mid-2010. There was very limited availability in the first four towers. For the last two (Princeton and Cornell), there was more availability, subject to phased launch schedule. Sahara Grace: Sahara Grace delivery dates slipped substantially. The projected delivery date for the first two towers (B1 and B2) was indicated to be end of 2012 as opposed to 2011 that was indicated when we talked to them in mid-2010. They also launched a new tower (A3). Pricing did not change (Rs 3000psft and Rs 3300psft depending on whether it is water-body facing). The first two towers were nearing completion, but given the slippages, it was tough to feel confident about their new delivery dates. The project continues to move at a snails pace. Their recent marketing mailing indicated a price increase was forthcoming. 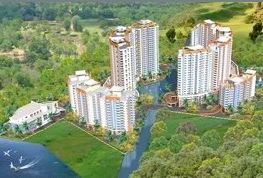 Skyline Ivy League: A new tower Brown was announced with a pre-release pricing of Rs 3750psft, Rs 3L for car park, and Rs 10 FRC from 4th floor. It was very early and the builder was still unsure whether they will get permit for a G+20 (G+9 was the approval they had at the time). DLF New Town Heights: The project slipped by more than a year and handover for launched towers were scheduled for a phased delivery between October and December 2014. Also, they issued a surprise payment request for between Rs 1.25L and Rs 2.5L (depending on square footage) for taxes paid by them to vendors and such - apparently, in the owner's agreement there is a clause (19.1) that mentioned this although the payment schedule had no mention of it. There was some activity within the newly organized DLF NTH owners association to protest the move. Overall, one saving grace was that the construction agreement included a provision for the builder to pay the client at a rate of Rs 5psft/month for every month of delay from the standard 30-month agreement - also, there was an optional supplementary agreement that allowed for this rate to be double (Rs 10psft/month). Overall, the project was making progress - the towers A through Q were launched and work was proceeding at a rapid pace. The availability was limited as 95% of the inventory in the launched towers were sold. The pricing increased to Rs 4250psft. The parking rate also increased from Rs 2.5L to Rs 3L and Club Charges from Rs 57000 to Rs 1.57L. DLF claimed this project as the most appreciated on-going project in the area. Skyline Ivy League: The new tower Brown was released (G+20, 136 apartments, 2 & 3 bedrooms 1039 to 1695 square feet). DLF New Town Heights: Over the last couple of years, the perception of DLF as a nationally reputed builder changed significantly for the worse. The underlying issue seemed to be that the business was highly leveraged and so had limited financial flexibility. Further, in South India, reputation suffered as a high profile river-front project in Kerala (DLF Riverside) fell into uncertainty (regulatory issues) and other projects also got delayed. DLF New Town Heights: DLF recently announced a new business plan whereby they will only sell apartments after completion of projects. Initially, this will be done with existing projects that are already launched. Overall, this could work out well for owners in existing projects as DLF may be able to realize better prices for new phases in existing properties. DLF New Town Heights: Handover started earlier this year and around half of the ~1200 apartments launched are now handed over. Occupation is still very low at less than 100. Also, the registration process is going at a snail's pace. The clubhouse facility is still a work-in-progress although if the current work-pace continues, it should be ready within the next three months. excellent informative and well written article. Right now DLF is priced 3750 as basic selling price. Preferrential location charges are extra. Thank you for the updates. It is difficult to find good information about projects in Kochi. Whether Thevara or Kakkanad to Opt for a Flat , not for investment . For personal use !! The biggest issue with Mather Highlands is that it is very near to Brahmapuram waste plant (other side of the river). Besides that, it is an area surrounded by other flats and villas and so it feels a little congested. Asten-Mather's Campus Court on Infopark Expressway by South Indian Bank has a far better location. Between Thevara & Kakkanad, I would go with Kakkanad. But, it also depends on the project - a serene waterfront project in Thevara is a holygrail. If you are able to, ook in Olive. Their Kalista project is bang opposite Infopark yet hidden from the main road. Except for the delays due to labor problems there has been no great delay - For me it was 12 months which is not a huge delay when you see current market conditions. We have checked most of the properties around that area and Olive Builders are the best in terms of quality of construction, they use Red bricks with best Interior layout and design which allows for air circulation inside the apartment. Most other Builders [including Skyline] uses Hollow concrete bricks which makes the apartment very hot. Still I would recommend that you see the construction and the layout to believe how good it is.